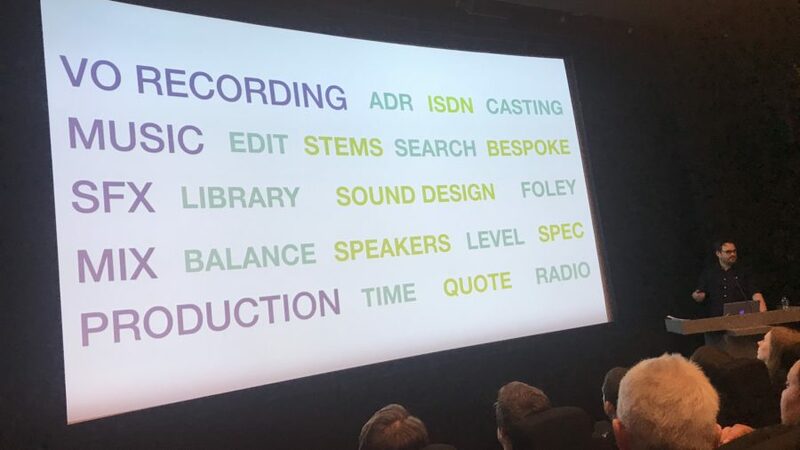 Chris had the delight of delivering a presentation at the APA’s Audio Post Production Workshop, answering the question: ‘What is Audio Post Production?’. It was an insightful morning with some of Soho’s finest Audio Post houses coming together to shed light on a subject that is often misunderstood! If anyone is still unclear please feel free to grab Chris on the street and quiz him, he loves a chat. Thanks to everyone that came to listen to the discussion and presentations.